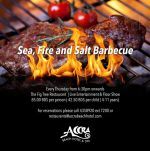 The Accra Beach Hotel and Spa presents its Sea, Salt and Fire Barbeque Dinner Buffet with Floor Show at the Fig Tree Restaurant. This and every Thursday from 6:30 pm -10:00 pm. 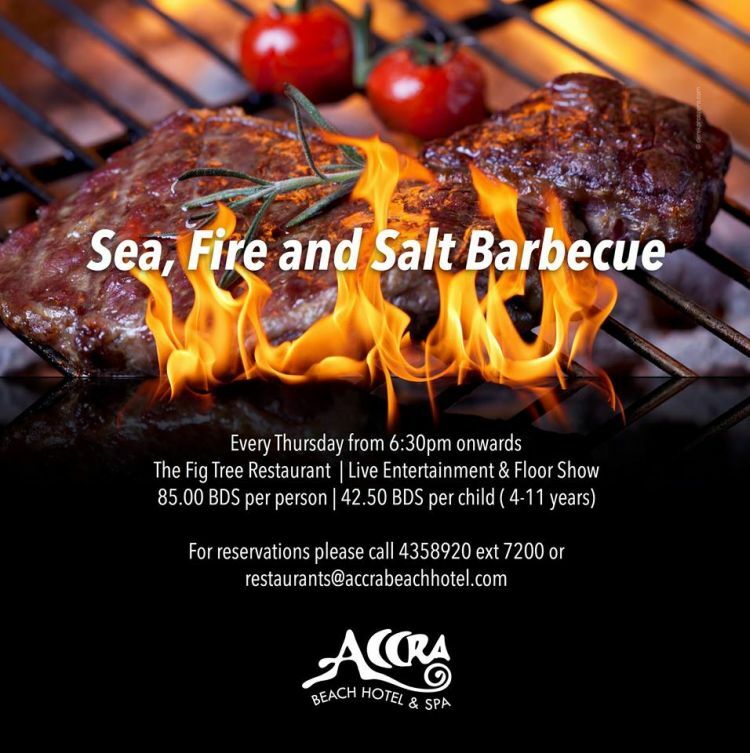 The Floor Show features a Live band, a limbo competition and breathtaking floorshow with stilt-walkers, fire-eaters and a Barbadian Tuk band.